A violin bow is one of the most important pieces of equipment that any violinist should possess aside from the instrument itself. Having the appropriate violin bow can have a dramatic effect on the sound of the violin. Hence, it is important to evaluate all of the best violin bows before purchasing them. 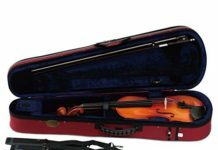 Violin players must be acquainted with the different brands and types of violin bows on the market. This way, they may be able to identify the most appropriate violin bow to use with their instrument. In this article, we reviewed ten of the best violin bows which are available on the market. We have also identified the ideal features of a violin bow to guide you in selecting the best among the options. 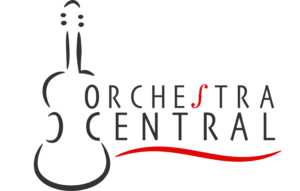 Before deciding on which of the violin bows on the market is the most appropriate for you, you should first identify each of their features to ensure that you will not be able to pick a violin bow that would only affect your performance. 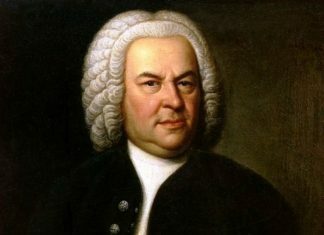 Since each of the violin bows delivers unique construction and styles, consider finding the design that suits your preference the most. Here are some of the features that you should take into consideration when picking the best violin bow. One of the primary things to look into when deciding from the best violin bows is its material. 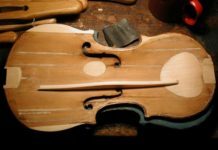 There are four materials which are used in making violin bows: Pernambuco, Brazilwood, Carbon fiber, and synthetic materials. 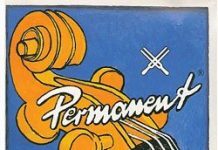 Pernambuco is characterized as lightweight yet durable. Brazilwood bows are usually inexpensive, making it affordable even for students. Carbon fiber violin bows are typically sturdier than wooden bows. Synthetic materials, which are usually made up of composites and fiberglass, are also durable. The second factor that you should consider when picking the best violin bows is the weight. A heavier violin bow usually creates a larger sound. 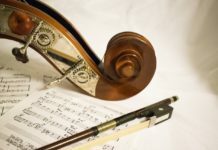 However, using a heavier bow on a constant basis could be tiring.A lighter violin bow, on the other hand, allows violin players to try different strokes effortlessly. 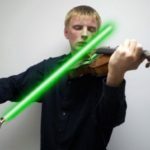 However, a lighter bow might not be powerful enough to allow violinists to perform better. The shape of the violin bow should also be taken into consideration. Violin bows have two configurations: an octagonal bow and a round bow. Octagonal bows are stiffer than round bows. Round bows, on the other hand, are less rigid than octagonal bows. The features which are mentioned above are just some of the key features that you should consider before purchasing a violin bow. It should be noted that the ultimate choice will still depend on your preference as the player. If you want to learn more about what to look for when buying a violin bow, you can read our guide on buying a violin bow. The D Z Strad Model 301 Violin Bow is a full-size bow which is made up of Pernambuco wood. It is designed to ensure an excellent playability within stiffness which ranges from medium to strong. Moreover, it was engineered to be balanced for resiliency and to offer a quick response. Additionally, it is equipped with an authentic Mongolian horsehair and a traditional frog made from polished ebony. It also comes in five other sizes to suit the size of the violin. The Paititi Violin Bow is a full-size round stick bow that is made up of Brazilwood. Handcrafted with a high gloss finish, the violin bow is lightweight and easy to carry. It is likewise durable and stable, creating a well-balanced and bright sound. The violin bow is made up of authentic Mongolian horsehair. Because it is soft on the fingers, the bow is recommended for beginners. The Vale Brazilwood Violin Bow is a full-size octagonal violin bow that is made up of Brazilwood and a natural Mongolian horsehair with a suede leather wrap. It is further equipped with an ebony frog with a pearl slide and an inlaid pearl eye. It is designed to provide users with an excellent performance when such bow is used with their violins. It is also well-balanced, ensuring a quick response and resiliency. The violin bow includes a lightweight bow case for safekeeping. 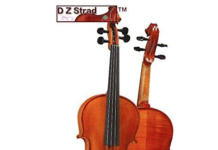 The D Z Strad 200 Violin Bow is made up of Pernambuco wood for a well-balanced full-size violin bow. It is further designed with a stiffness ranging from medium to strong to ensure optimal playability. Furthermore, it is built with resilience and quick response for an excellent performance. It is equipped with an authentic Mongolian horsehair and a traditional frog made from polished ebony. It also comes in five other sizes to suit the size of the violin. The Vio Music Full-size Silver Winding Violin Bow is a well-balanced full-size bow which is made up of selected Brazilwood and authentic Mongolian horsehair. Moreover, the bow is handcrafted with a Fleur-de-lis inlay ebony frog, a golden mount, nickel or silver winding, and a screw. It is designed to provide resilience and quick response. It also produces an excellent sound quality when used with the violin. The Giuliani Violin Bow is a strong round bow made up of the solid Brazilwood that resists warping. It is also equipped with a genuine ebony frog, an authentic silver winding, Parisian inlaid mother-of-pearl eyes, and a hand-applied finish. It also has a durable natural Mongolian horsehair that creates a bright and full tone when used with the violin. The bow comes pre-rosined and ready to play the moment you receive them. 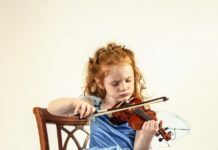 As a violin player, you should have an ample idea on the features to look into when choosing from the best violin bows. 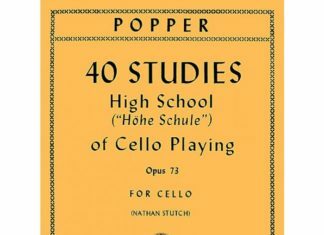 Each of these violin bows has their fair share of advantages and disadvantages. In the end, it will depend on you on which from the best violin bows could deliver a stunning performance while ensuring comfort and durability.